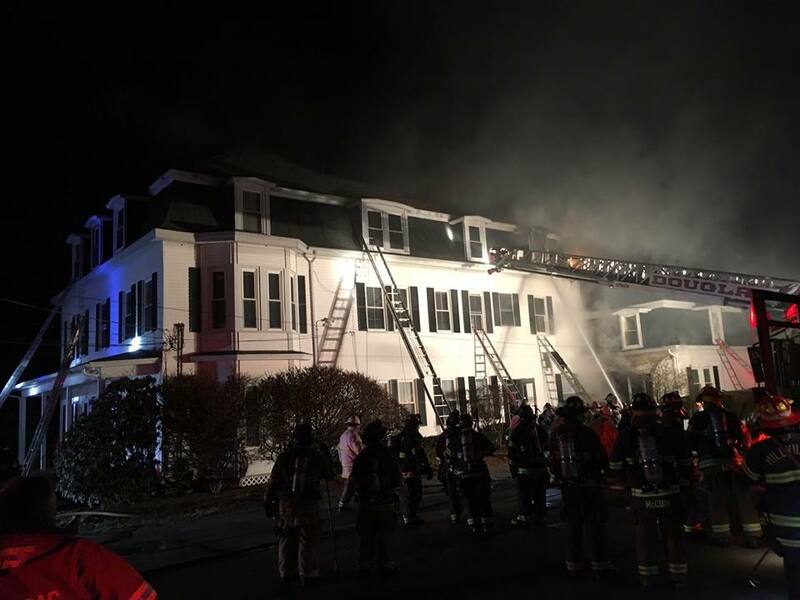 Just before 3AM on Wednesday, March 27th, the Douglas Fire Department responded to a 9-1-1 call for a fire located at 40 Depot Street in town. When crews arrived on scene, they started to douse the flames on the first floor of the 3 story multi-family apartment building. A short time later, the fire quickly grew to a second, then third alarm fire. Due to a sudden change in the color and velocity of the smoke, all firefighters were ordered from the building and were forced to battle the blaze from overhead through a hole in the roof. Douglas Fire Department credits working smoke detectors as one reason all residents were able to escape the fire uninjured. Approximately 15 to 20 residents were displaced and are currently being assisted by the American Red Cross. Mutual aid from many surrounding fire departments was also used. The 6,700 square foot building, listed as having 13 bedrooms and 7 bathrooms, was built in 1850 and last sold for $277,000 in 2010. There is no word on how much damage the building sustained, or what may have started the fire. Third alarm multi-family fire this morning at 40 Depot Street. Smoke detectors save lives. No injuries to residents or firefighters. Thank you to all mutual aid companies! Be safe!